CARFAX 1-Owner, Excellent Condition, LOW MILES - 16,783! FUEL EFFICIENT 26 MPG Hwy/19 MPG City! Moonroof, Heated/Cooled Leather Seats, Navigation, Onboard Communications System, iPod/MP3 Input, AWD, Aluminum Wheels. READ MORE! 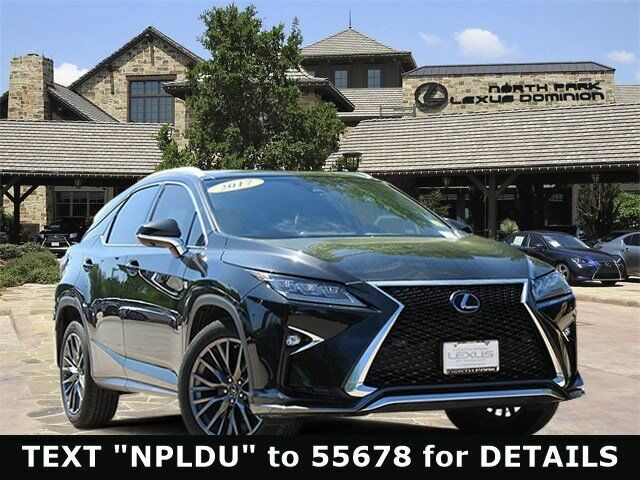 Safety equipment includes Lane Keeping Assist Lexus RX 350 F Sport with Caviar exterior and Rioja Red interior features a V6 Cylinder Engine with 295 HP at 6300 RPM*.